You started investing your first dollar but what’s next for you? In this event jointly organised by DollarsAndSense and InvestingNote, we bring to you some of Singapore’s leading and most prominent investors and traders. Learn from these experts as they share with us their own investing and trading journey, the mistakes they have made, and how their personal experience has led them to adopt the investing and trading philosophy that they now practice and advocate for today. 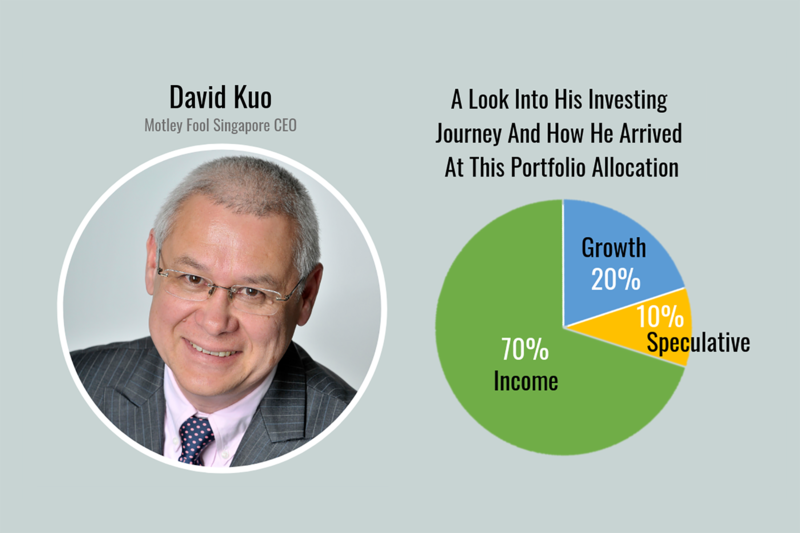 David Kuo is a renowned financial broadcaster at The Motley Fool. He can be heard on the BBC World Service’s Business Matters Show, where he arouses listeners from Singapore in the East to New York in the West. As a champion of long-term income investing, David sees stock market falls as terrific opportunities to buy solid dividend-paying shares at knock-down prices. David's views are regularly sought by the BBC, CNBC and CNA. His weekly newsletter Take Stock Singapore is read by thousands, and he also has a bi-monthly Inside Investor column in The Independent on Sunday. He is a regular guest-host on CNBC’s global business programmes – Squawk Box Asia in the morning and Capital Connection in the afternoon. Collin is the founder of The Systematic Trader, a trend trading course that equips people with trading and investment strategies that will help them navigate the complex financial markets. A charismatic trainer, his courses equip people with trading and investment strategies that help them navigate the complex financial markets. He is also a qualified Chartered Portfolio Manager (CPM) holding a Certified Financial Technician (CFTe) qualification, and is a member of MENSA Singapore. Read more about Colin here. Terence Wong is Founder and CEO of Azure Capital, an MAS-registered fund management company. His Azure All-Star Fund primarily invests in Small and Mid Cap companies, which tend to go under the radar, but with greater potential to deliver higher returns. Over the years, he has built a strong rapport with companies listed in Singapore, as well as fund managers, analysts, media, investor relations and dealmakers, allowing him to uncover investment gems. Terence also regularly shares his views on the stock market with local and international media, including CAN, Business Times, MoneyFM 89.3 and CNBC. Read more about Terence here. Jonathan Tan is one of the most sought-after trader featured on YouTube. He trades various markets from Singapore stocks to US markets. In addition, his speciality is in trading Hang Seng, Dow Jones/S&P500 Futures and also in Forex and commodities. He shares his views on the market and how to trade using various technical signals. A charismatic speaker who has trained thousands of people around the region both online and offline, his views and regular updates are widely followed and sought after by traders. Jingyi started at IG in 2016, providing analysis and commentary on financial markets. Her media appearances covers both press and TV channels, locally and internationally, including the likes of Channel News Asia, Bloomberg and BBC. Jingyi’s background is in economic research and analysis, specialising in the Asian region. How do you gain the skills necessary to thrive in any market condition? Find out from those who have been there, done that. Investing Vs Trading: What’s The Difference? Come early for the chance to meet and interact with these influencers before the event begins. Panel Discussion: Fundamental Analysis Vs Technical Analysis: Which Is Better? Mingle with the speakers and ask any questions you might have. Panel Discussion: What Does The Current Stock Market Entail For Investors Right Now? 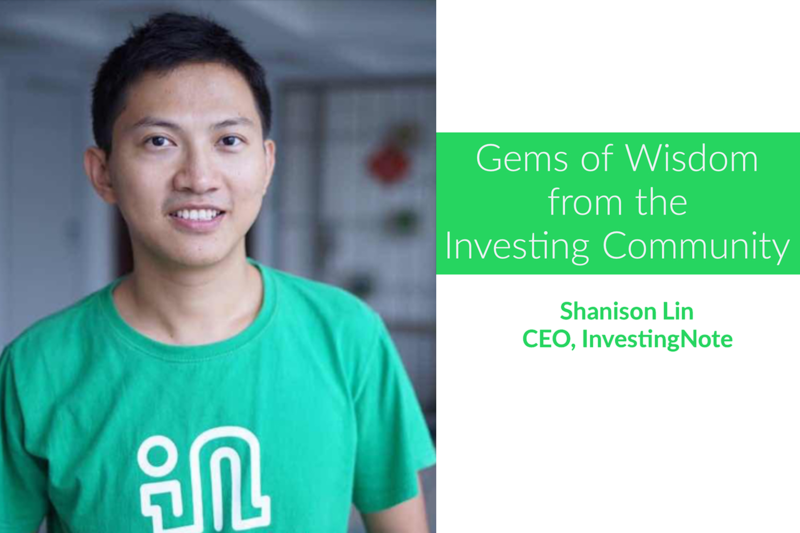 Acquire gems of wisdom and insights from InvestingNote, Singapore’s largest and most active online investing community. Needing to bear $250,000 in losses incurred by a client was the impetus for Collin to create his own propriety trading methodology. 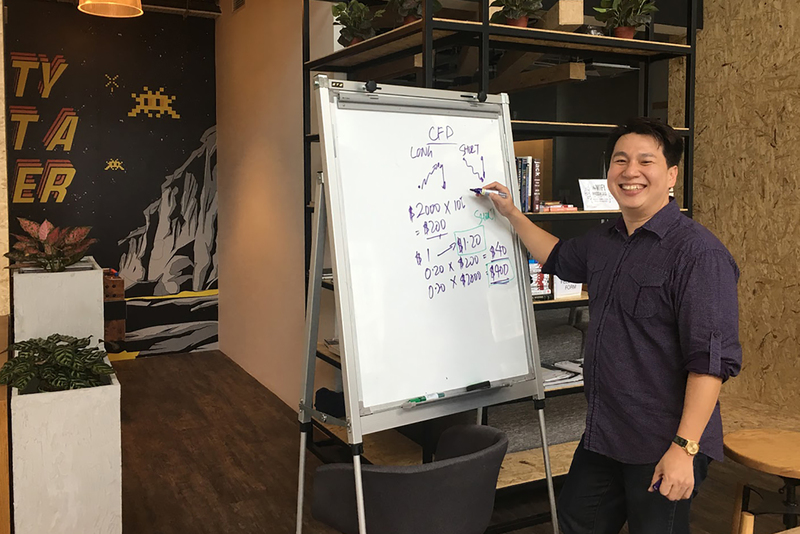 Read about the ups and downs of Motley Fool Singapore CEO David Kuo’s eventful investment journey, including a stint as a bookie. Copyright © 2019 DollarsAndSense. All rights reserved.